Swaram Web Solutions offer a wide spectrum of services to suit every need and requirement. From website designing to internet marketing, web consultation, we are there to assist you, to facilitate your Internet presence & make you win potential business opportunities. With a motto to serve our clients, we offer cost-effective & requirement oriented services. 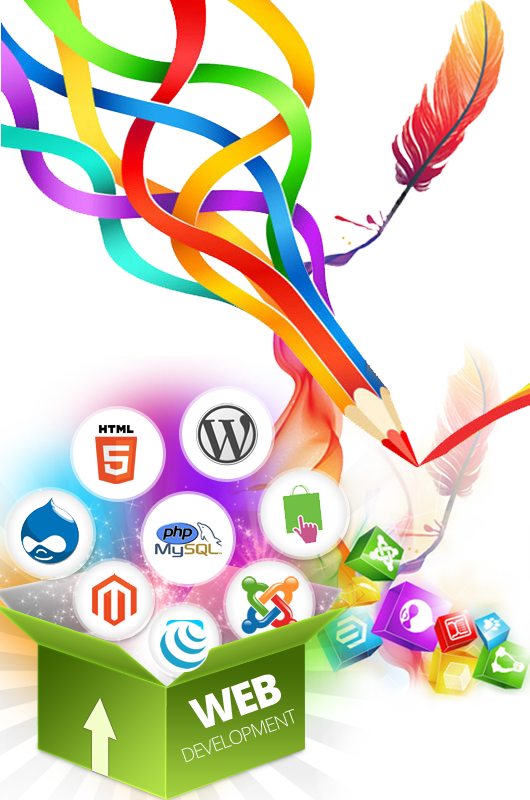 Swaram Web Solutions uses most advanced technologies for the web development services. Swaram Web Solutions Web Developers have the expertise to deliver a well planned and executed Web Solution for your business. Our Web Developers also have the ability to improve your existing website to ensure a successful online business application. We use programming languages and code to build a successful web model. Swaram Web Solutions uses the following comprehensive range of Web Development technologies: HTML/XHTML, PHP, ASP, ASP.Net, MySQL, Flash, Java, Java Script/AJAX, XML. We analyze the technical construction of the web and online behavior of the target market, as well as verify the accuracy of domain information as it relates to your web marketing needs. We evaluate and organize the information to design a Web Development strategy that correlates with your Web Marketing plan. We design a blue-print for your website’s structure, layout, functionality and back-end systems. We use programming languages and HTML tools, as well as other information technology, to create and structure the new site. Content writing plays a very important role in website development. We have very professional and experienced content writers who can write content based on each industry. The testing team start their work to make the website development project an error free website. We configure the new site to our state of the art, secure server environment and link the website to the domain information on the web. After the completion of website project we spend some time on making this website available with various search engines. We monitor the website and its environments to ensure correct parameters at all times. © 2011 Swaram Web Solutions. All Rights Reserved.